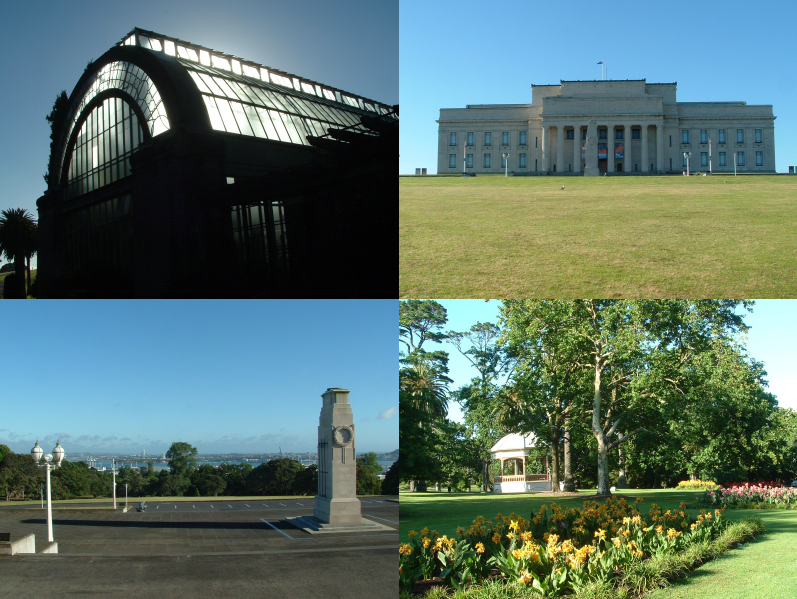 If you see several blokes wandering across the Auckland Domain this morning, stepping onto dog turds and tripping on their shoelaces as their old-fashioned cameras track slowly across barren turf, beds of staring roses, and supine pondwater, try to refrain from jeering. Paul Janman and I will be trying to kickstart our long-stalled film about the Great South Road by shooting some footage in Auckland's favourite park. The Domain may appear innocently bucolic but, as I explained in the first manifesto of the Committee for the Reconstruction of Space and Time on Pig Island, it was a marshalling ground for the biological invasion of the Waikato Kingdom in the 1860s. After a British army led by the melancholy pacifist General Duncan Cameron had conquered most of the realm of King Tawhiao in 1963 and 1864, the settlers who took over super-fertile confiscated lands around the Waikato and Waipa Rivers imported a series of species - trout, ragwort, orchids, blue duck - which had been nurtured in the ponds and gardens of the Domain by the Auckland Acclimatisation Society. On the slopes of Maungatautari and Kakepuku ragwort and gorse blazed amidst the ruins of felled forests; in the scores of peat lakes around Kirikiriroa trout feasted on long-isolated species of native fish. After taking the advice Alfred Hitchcock gave us to heart, Paul has decided to use archaic technology to tell the story of the Great South Road and the events of the 1860s. He has sought out cameras which are hardly more advanced than the clumsy and cantankerous device that soldier-artist William Temple used to record his advance down the Great South Road into the Waikato Kingdom in 1863. Apart from shooting the innocent-seeming waters and gardens of the Domain this morning, Paul and I will be visiting the ruined railway workshops which sit in the middle of the park's tract of bush. As Paul and I argued in one of the proposals for our film, New Zealand's rail system, with its hundreds of lovingly designed stations, branches to remote towns and villages, and impudently looping and spiralling sections of alpine track, was once an expression of the country's faith in modernity and industry. Since the deindustrialisation of the '80s and '90s, though, and the rebranding of New Zealand as a 'clean, green paradise' full of smiling hobbits happy to run hotels and B and Bs for wealthy American tourists, the rusting, economically useless regions of our rail empire have become an embarrassment. Sections of track have been torn up, or made into pleasant cycle lanes for ecologically minded tourists; old stations have become cafes filled with bad amateur paintings and flower arrangements. Councillors and city planners are still arguing about whether the Domain workshops should become a cafe, a museum, or an acre of replanted bush; in the meantime, the station and the locomotives that sit hopelessly about it have acquired a devastated look, thanks to rot and rust, and to the winos that have made them into drinking dens. Tourists taking the train south from Auckland's new, minimalist central station can glimpse this ruin for a couple of seconds, before the trees of the Domain close over again. Domain workshops? What and where are they? the three or four workshop buildings, one of which is two stories high, sit between the edge of the Domain's bush and the houses of Parnell. Paul and Ian are keen to tackle the old Affco and railway workshop sites at Otahuhu next Friday: how about coming along and adding some commentary? Now you say that I suddenly remember that place - recalled that my daughter got me to go out there to see an artist who was working there. That must have been about 1995 or so or later...I really can't fix when it was. He had an art studio where that was - I associated it with the railway enthusiasts. The domain is so large. I was in the Mt Wellington Soccer team when I was about 9 (!!) and we played there a few times. I also just recalled some boys and I saw a dead man just in the bush - not sure how we knew or thought he was dead. Plinth for turning trees into poles? Possibly it is part of a treatment system. They treat or treated telephone and power poles for various reasons and by different methods. Creosote was one and also they also forced fungicides into pinus radiata poles under pressure. Not sure to what extent they treated hard word such as Jarra (Australian hard wood tree). Before climbing telephone pole we were meant to test every pole for rot (esp. below ground level). Even concrete poles deteriorate as the steel reinforcing slowly rusts and kind of "explodes" (rust is a form of burning or "reacting") and poles eventually become skeleton trees of steel and old man concrete! I'c be interested in that visit to AFFCO and the Railway Workshops. Email me where and when to meet. I worked at Hellabies and the R/W workshops. AFFCO, Westfield, and Hellabies (where my father was the Architect, he worked closely with the Engineer)...those freezing works were pretty chaotic places. I worked there as labourer (usually between school and university or another job) and actually enjoyed it. My brother worked at Westfield while at University. A lot of students worked at the Freezing works. I was there once but overslept and came late and was sacked! So I went back to Hellabies. Sounds good Richard. Perhaps you could perform a couple of pertinent poems? I don't really want to do that or even be on camera but I could give some voice input if we "tour" the places. I'm not sure I know that much. But see what happens. I need to know where and when though. A friend of mine had an old super 8 film camera about 1970. I was quite active at one stage as I became an assistant union delegate. This made things complicated as the management had liked me when I first when there (I was a good worker) but when I "got politics" then they became reluctant to hire me. Previously it was my father's position in management at the Head Office that opened doors. Then I left and worked at the Railways. Actually I forget which way round it was now...it was between 46 to 42 years ago. I have worked in many other places. But it is looking to be an interesting project. You may be interested to know that archaeologist James Robinson excavated the Acclimatisation Society fishponds in the mid 1980s and wrote a nice little report of his findings. James is/was a master of the almost-lost art of plane table and alidade survey and there are some nice site and feature plans and section drawings in the report, inked by Sally Maingay. This style of illustration is now largely replaced by total station, dGPS, laser scanner, CAD and GIS for archaeological recording, sadly. Its Robinson, J., 1988. Initial excavation of the Auckland Acclimatisation Society Fishponds. Science and Research Internal Report 27. Department of Conservation, Wellington.